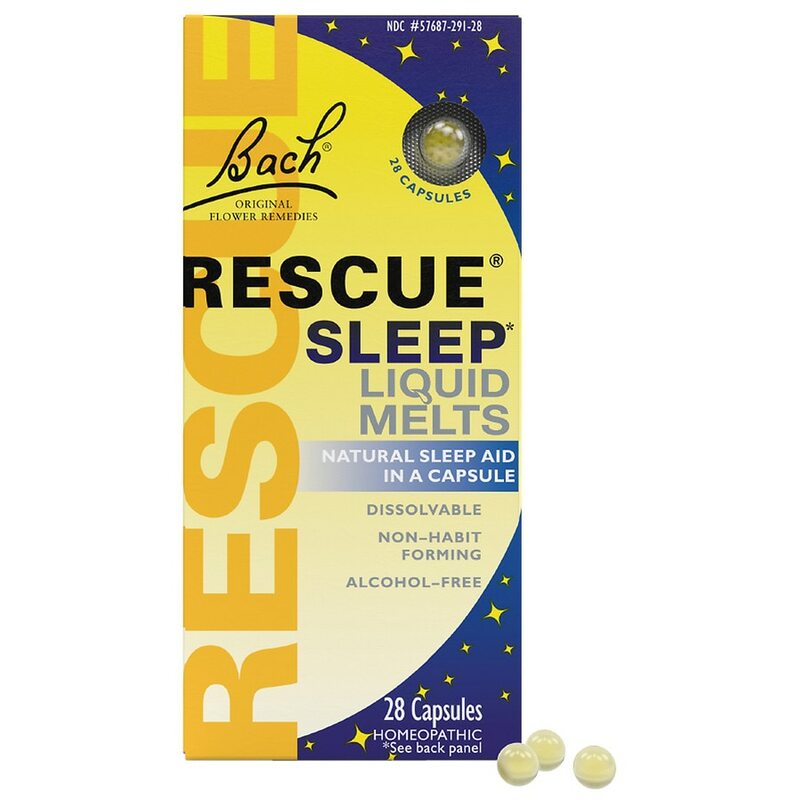 All natural, non narcotic and non habit forming RESCUE® Sleep Liquid Melts provide relief from occasional sleeplessness caused by stress and repetitive thoughts. Alcohol free and safe for the whole family. Place 1 capsule on tongue and let dissolve prior to retiring. Additional capsules my be taken as needed. Keep out of reach of children. If pregnant or breast-feeding, ask a health professional before use. Do not use if the tamper evident seal is broken. Stop use and ask a doctor if sleeplessness persists for more than two weeks. Insomnia can be a symptom of serious underlying medical illness. Consult a physician for use in children under 12 years of age.